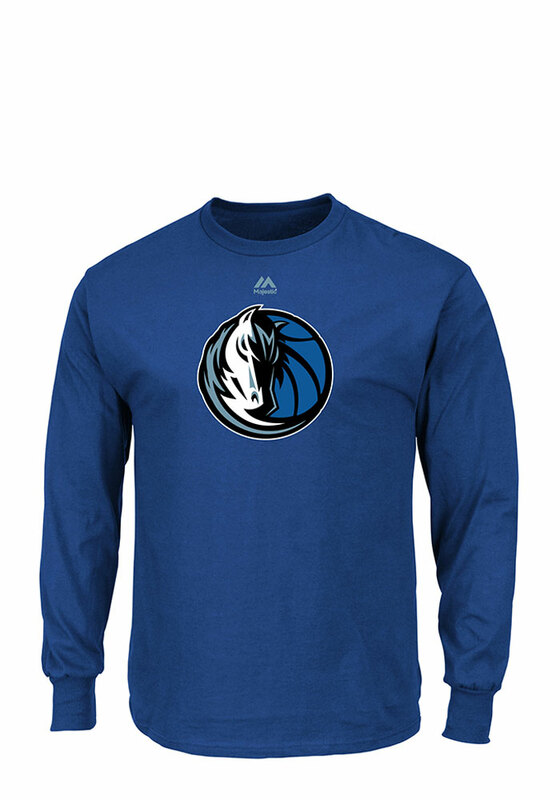 Show off your team pride in this Dallas Mavericks Blue Logo Long Sleeve T Shirt! This Dallas Long Sleeve Tee features a screen printed team logo on chest. Make sure everyone knows you root for the Mavericks with this Blue Dallas T Shirt. Win Mavericks!! This is a men's shirt but I bought it for myself because I loved the fit and fabric. It has the new Pistons logo too. No shrinking and washes up super nicely. I love that Rally House carries Pistons gear in store as I have always been a fan of the team but the stuff can be tough to find even in Detroit.